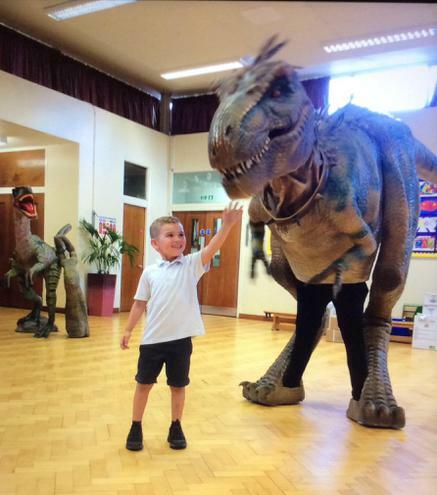 The children in Reception got up close to life-size baby dinosaurs today when the amazing Dinosaur Workshop came to visit! 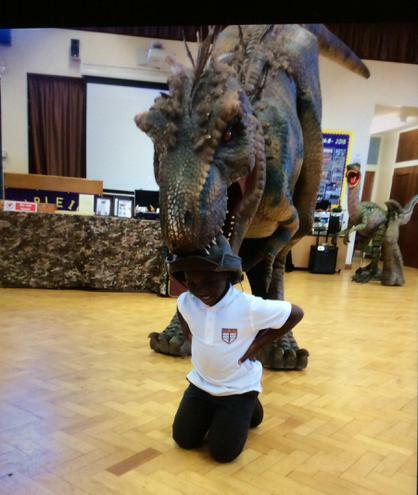 Rangers Chris and Andy brought with them, Trixie the Triceratops, Bradley the Brontosaurus and Ronny the T-Rex. 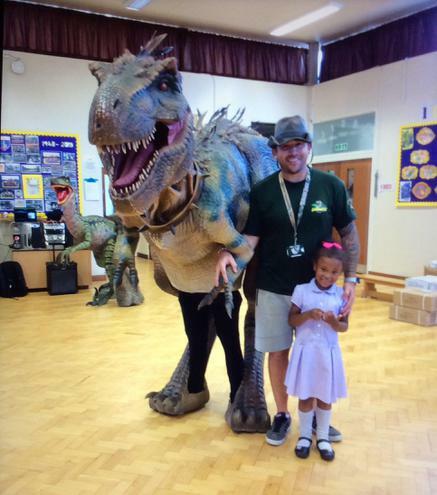 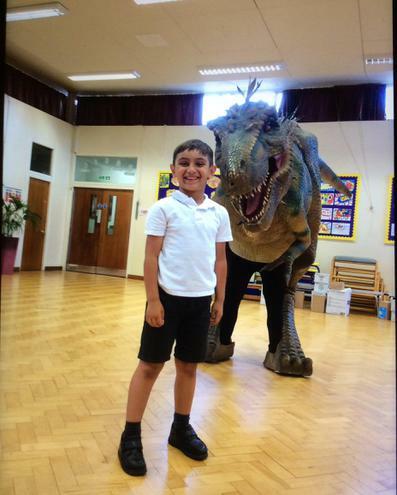 The children were transfixed as Ronny the T-Rex chased Mr Norman around the infant hall! 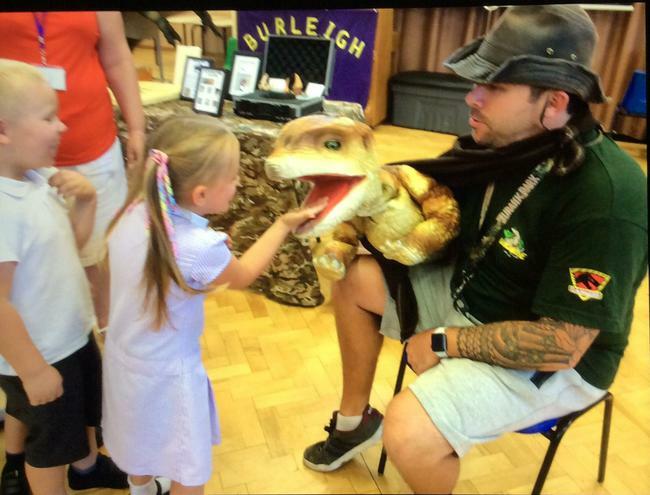 The workshop was an amazing experience for the children, one they will remember for a long time! 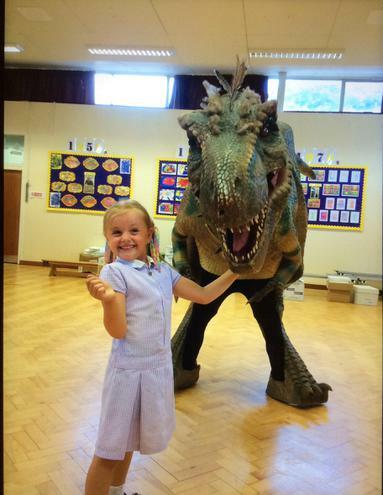 More photos can be seen on the Reception class page soon.